I’m home alone today. I’m taking a leak with the door open and out of the corner of my eye I see Floyd. He’s got a toy in his mouth. I haven’t seen this one before though. He drops it and it runs. He picks it up again and walks a few steps. At this point I realize it’s alive. He drops it in the bathroom and it goes berserk. And so do I, only I have my pants down. I’m dancing like I just touched the third rail. Somehow I get Floyd out and slam the door. My heart is beating about of my chest. I hope the situation will resolve itself, which it then occurs to me is completely impossible. It takes me a good 45 minutes to figure this out. 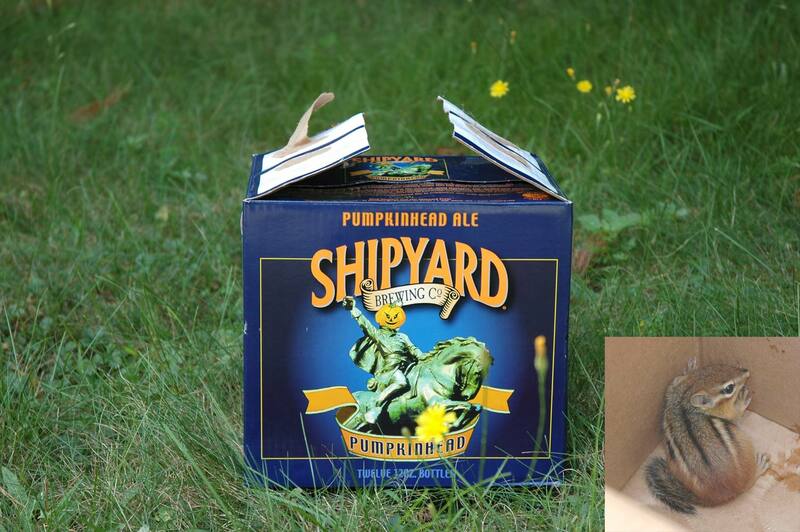 I have the thing locked in this tiny bathroom, and the best I can come up with is a Pumpkinhead box. I put on some jeans, a sweatshirt, and my Pearl Izumi lobster riding gloves, and corral the thing into the box using my hands and some peanuts as collateral. I doubt the peanuts were effective because all the thing did was piss out of complete terror.